THE WAVY TUNNEL PRO ULTIMATE PACKAGE!!! Click the video to watch the presentation from December 5th AND complete Step 1 below. ACT before December 9th and apply your 400OFF Holiday Coupon Code for our best pricing of the year!!! You have until February 1, 2019 to evaluate the Wavy Tunnel PRO Ultimate Program. It is important for us that you are 100% satisfied with your purchase. Work with us to learn the strategy, immerse yourself in the course materials, apply the Wavy Tunnel PRO system, and put it into practice in your demo account. If you are not completely satisfied with our ground-breaking program, just contact us during the week of January 25th to February 1st to ask for a refund. 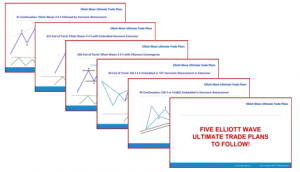 All you need to do is go through the Wavy Tunnel PRO course modules, and meet with a coach to show us that you’ve taken 10 documented trades following The Wavy Tunnel PRO system as we teach it. All we ask is that you give the Wavy Tunnel PRO Ultimate a fair chance. We do not cover any traders who “do their own thing” and do not follow the system we teach. Because the Wavy Tunnel PRO material is copyrighted intellectual capital and advanced strategy training, this material is for personal use only – you may not share this with anyone or in any public forum. Disclaimer: Stocks, Options, Forex and Futures trading has large potential rewards, but also large potential risk. You must be aware of the risks and be willing to accept them in order to invest in these markets. Do not trade with money you cannot afford to lose. This is neither a solicitation nor an offer to buy/sell Stocks, Options, Forex or Futures. The past performance of any trading system or methodology is not necessarily indicative of future results. No guarantee is made that you will be able to replicate the same results.